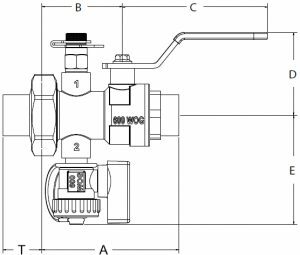 Model SB Union End Ball Valve offers positive shut-off, pressure/temperature measurement and drain. 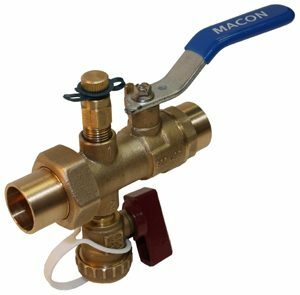 The ball valve has a chrome plated ball with Teflon seats, blowout proof stem with double EPDM O-ring seals. The union has an EPDM O-ring seal and tailpiece available in MNPT, FNPT and SWT end connections. Model BB with Pressure/Temperature Port and Hose End Drain Valve.